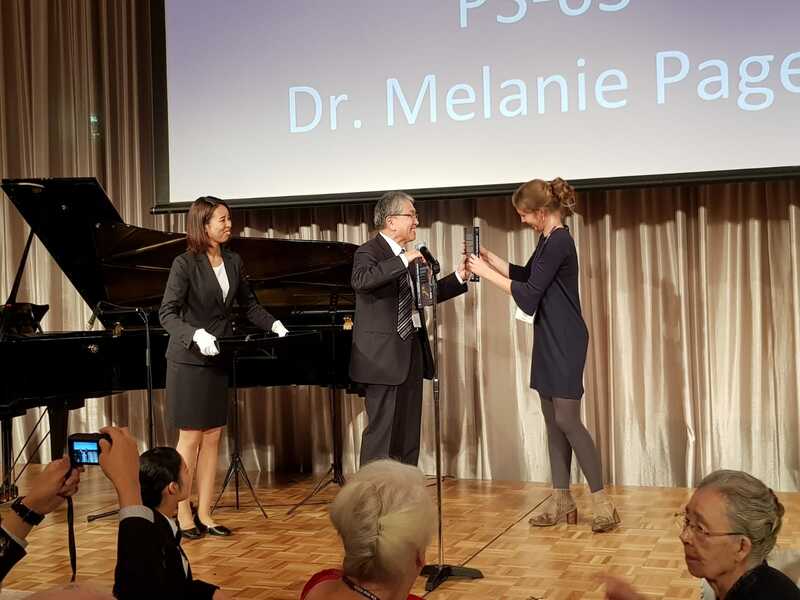 Nina Fransen was awarded a poster prize at the International Congress of Neuropathology in Tokyo. The poster is titled “MS lesion characteristics in Netherlands Brain Bank autopsy cohort: clinical and genetic correlates“. Nina Fransen studied the clinical and genetic correlates of MS lesion characteristics in the Netherlands Brain Bank MS autopsy cohort. She dissected 3188 tissue blocks containing 7562 MS lesions from 182 MS brain donors. Immunohistochemistry was used to visualize lesion demyelinating and inflammatory activity. The results indicate that MS lesion activity is substantial in progressive MS and correlates with clinical disease severity. Moreover, disease severity-linked genotypes correlate with higher proportions of active lesions. With these findings we begin to translate genotypic information into pathogenic mechanisms, which may facilitate the development of personalized therapeutic approaches in MS. The study is published in Acta Neuropathalogica.